I read this article and found it very interesting, thought it might be something for you. The article is called Omidyar, Pamela and Pierre and is located at https://www.medalofphilanthropy.org/pamela-and-pierre-omidyar/. Our view is fairly simple. We have more money than our family will ever need. There’s no need to hold onto it when it can be put to use today, to help solve some of the world’s most intractable problems. Andrew Carnegie believed in strategic philanthropy. In his words, “The main consideration should be to help those who will help themselves … to give those who desire to rise the aids by which they may rise.” Pamela and Pierre Omidyar’s philanthropic activities would surely meet with Mr. Carnegie’s approval. Direct experience has shown them the life-changing possibilities of one person’s great idea. Guided by their belief in the inherent capability of all people and the power of markets—which inspired the creation of eBay and enabled people to develop trust through transparent trading practices—they launched their own far-reaching efforts to make the world a better place. Approaching philanthropy with an entrepreneurial mindset and an innovative toolset, they embraced “impact investing” long before the term was coined. Today, they have contributed more than $1 billion to provide opportunities for people who might otherwise be overlooked. Together, they established Omidyar Network, investing in for-profit companies and nonprofit organizations that catalyze social, economic, and political change through areas such as microfinance, entrepreneurship and property rights. 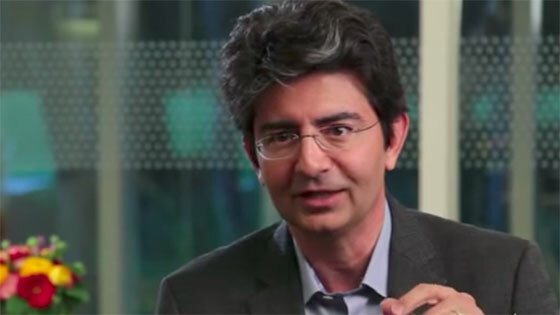 Pamela Omidyar’s desire to curb injustice and create lasting global peace led her and Pierre to create and support the independent grantmaking organization Humanity United, to end mass atrocities and modern-day slavery. They created the nonprofit HopeLab, harnessing the power of technology to improve the health of young people by combining rigorous research with innovative solutions. The impact of the Omidyar’s work is felt around the world but also at home in Hawaii, where their generous gift to the Hawaii Community Foundation and the creation of the Ulupono Initiative are sparking new ways of thinking about philanthropy. They have donated $100 million to Tufts University, their alma mater. The Omidyar-Tufts Microfinance Fund, which represents the largest single gift ever made to the university, aims to demonstrate the potential of institutional investment in microfinance funds. Their support and unique view of the world was instrumental in the creation of Tufts’ Tisch College of Public Service, heralded for its holistic and pervasive approach to citizenship and public service. The generous support they provide to critical-care organizations during times of natural disaster and civil unrest has meant the difference between life and death for untold numbers of men, women and children. 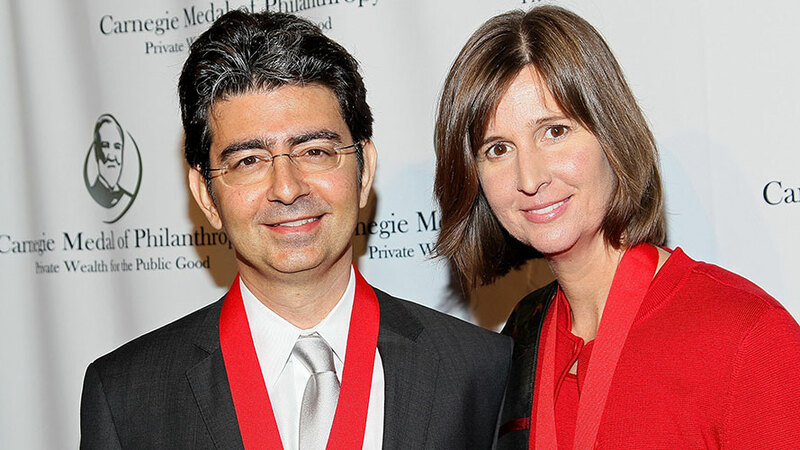 We honor Pamela and Pierre Omidyar as rising leaders in philanthropy. We salute their altruism and ingenuity, and we eagerly await the exciting accomplishments their future holds.